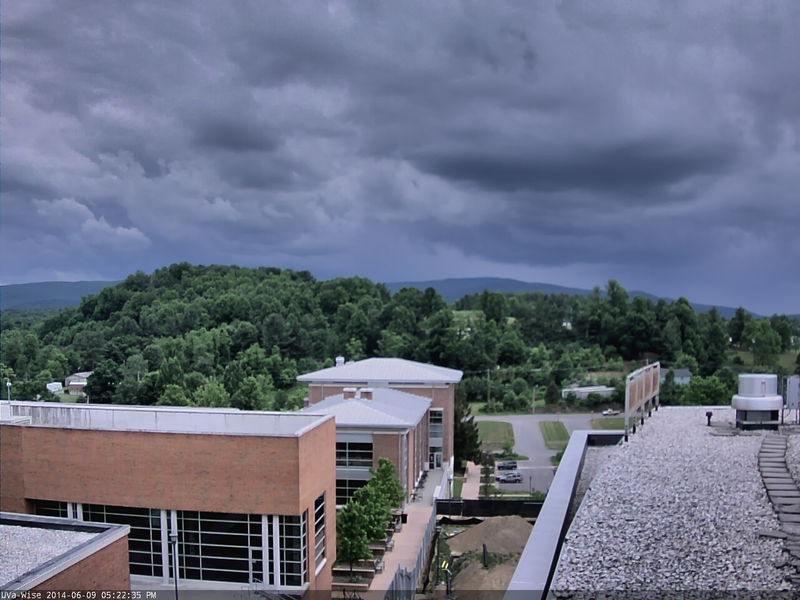 Observe subtle but important colorations in the sky ahead of a severe thunderstorm moving across Wise County, Va., during early evening hours of June 10. 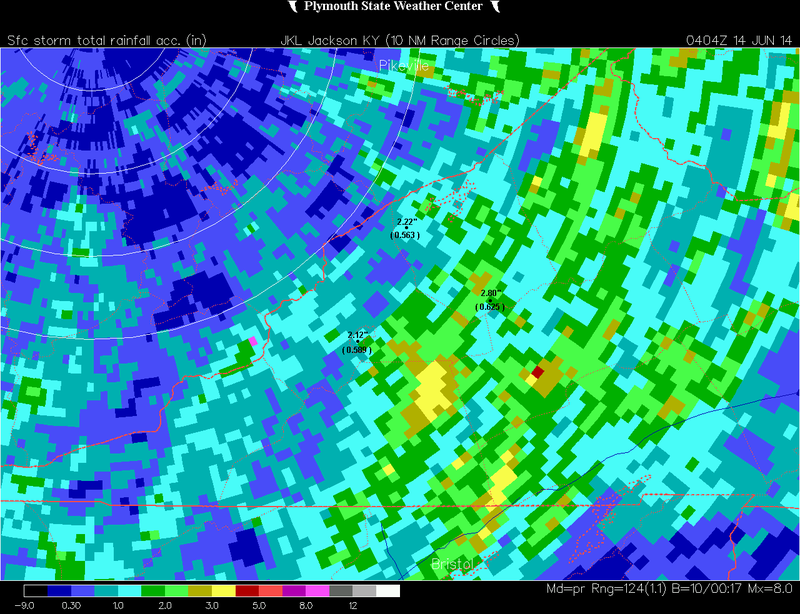 Temperatures were about average and rainfall near to above average during the first half of June 2014. 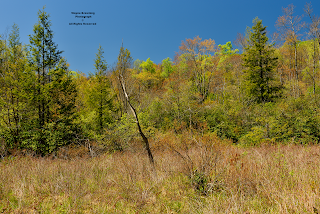 Temperature extremes in the High Knob Massif varied from a max of 71 degrees at the summit level to minimums in the lower-middle 40s amid colder mountain valleys. 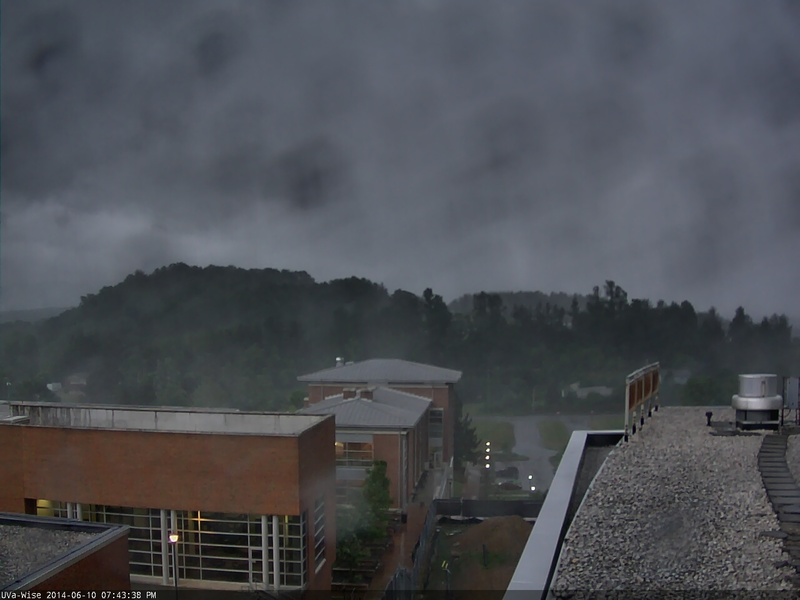 Rainfall was dominated by hit-miss showers & downpours in booming thunderstorms, with rain totals during June 9-13 making up the bulk of wetness amid this first half of June. Hand-measured NWS rain gauge point totals are denoted above for the City of Norton Water Plant, Clintwood 1 W, and Nora 4 SSE on Long Ridge of Sandy Ridge, with numbers in brackets denoting the approximate under-estimation of Doppler for these points. 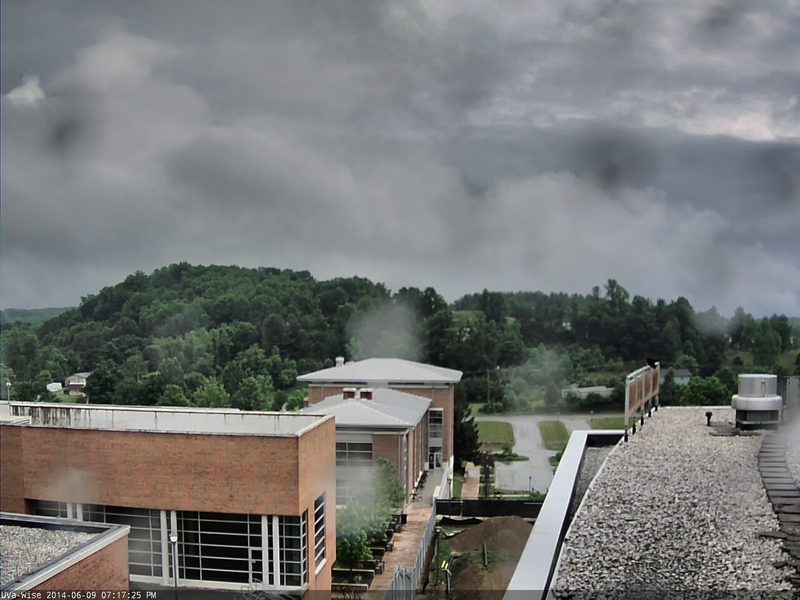 ( e.g., *Burns-Machine Creek and Big Stony-Little Stony Creek basins of the Clinch River ). 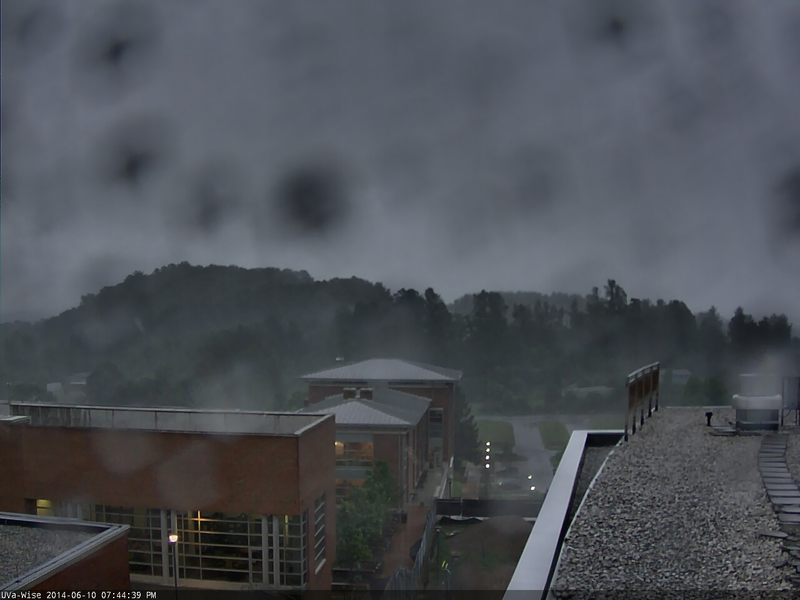 *This included the Robinson Knob community where residents Otis & Nancy Ward reported very heavy rainfall at times during this period ( more than 10.00" of rain since May 1 ). 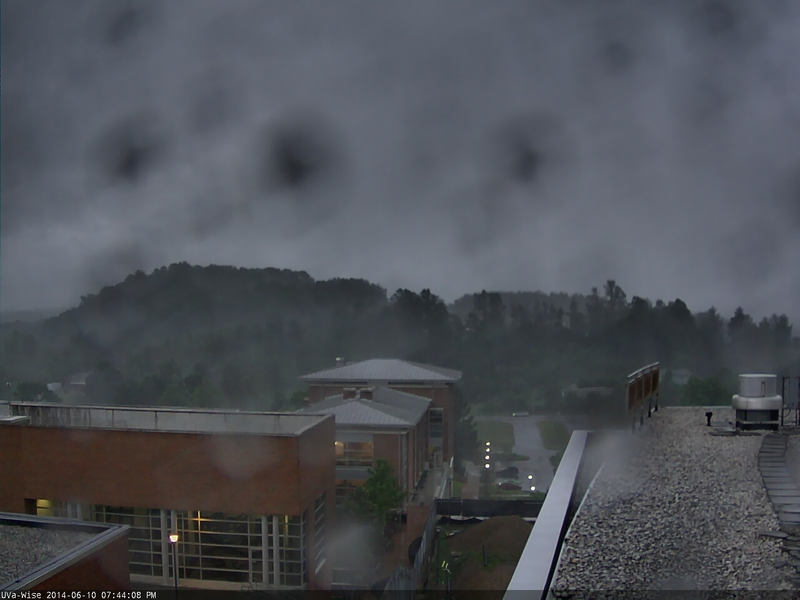 all frames have loaded into the picture viewer ). 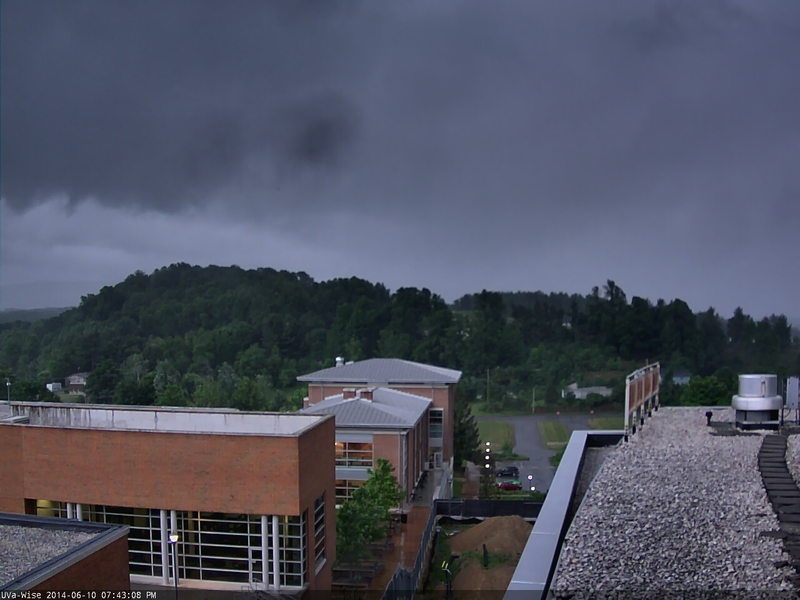 This severe thunderstorm was part of a squall line moving northeast across Tennessee and Kentucky with a history of wind damage. 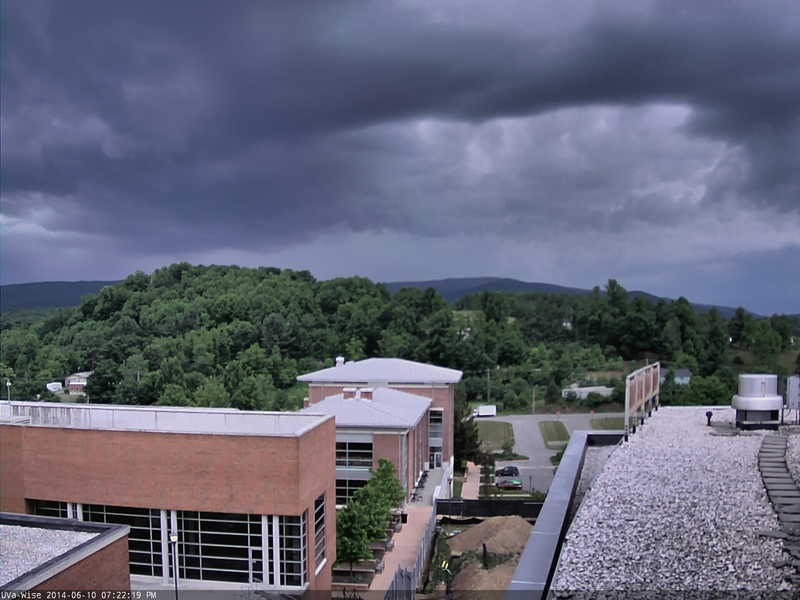 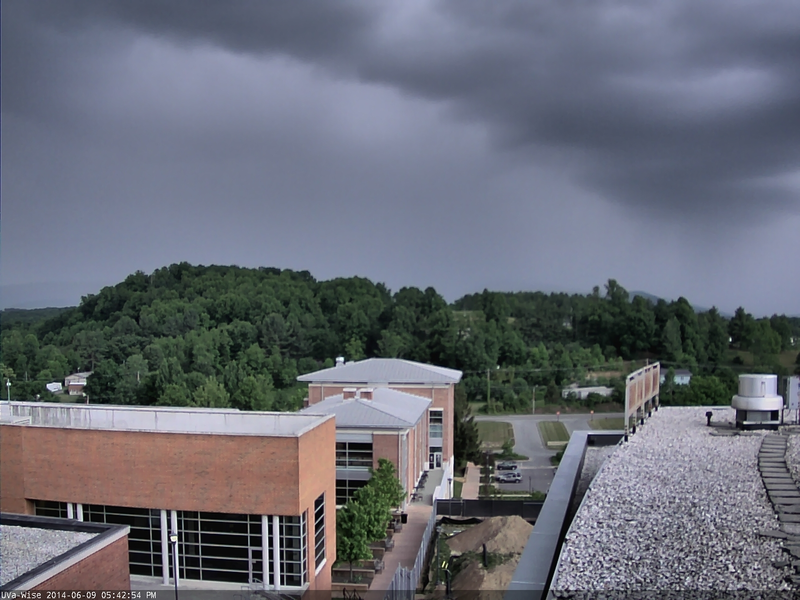 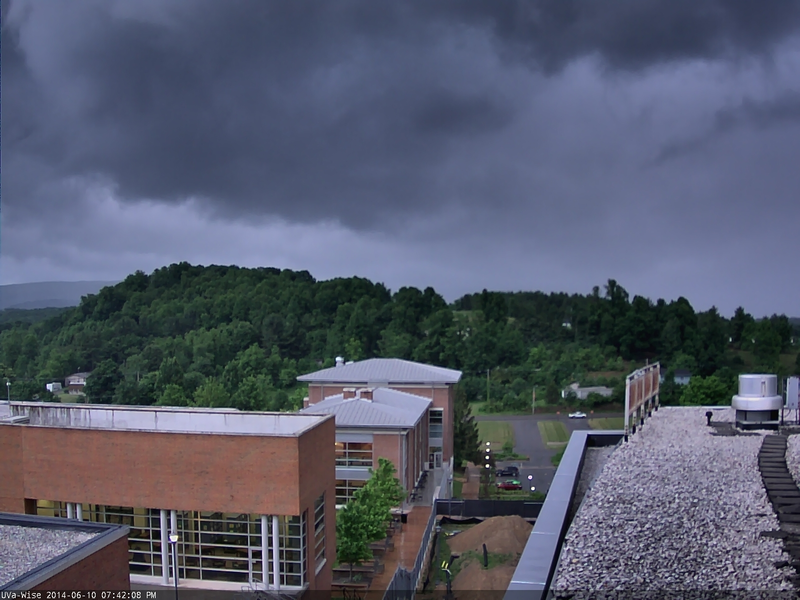 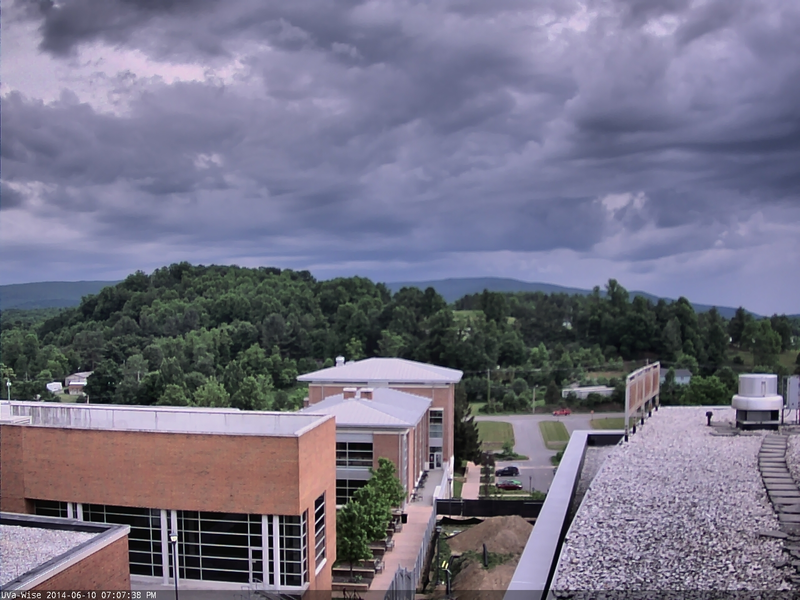 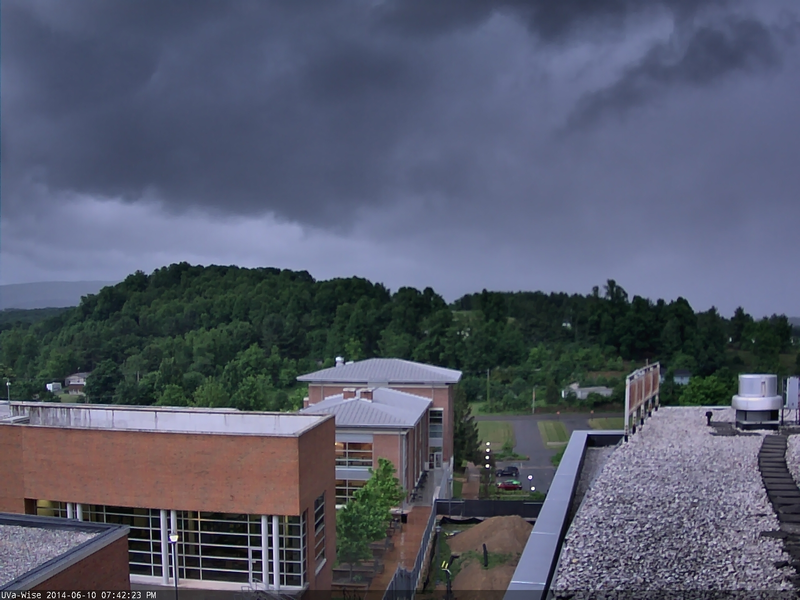 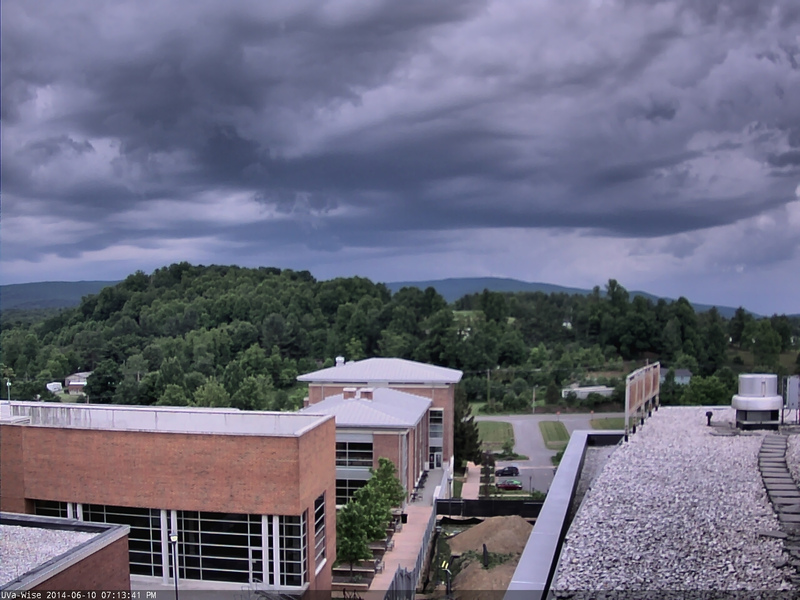 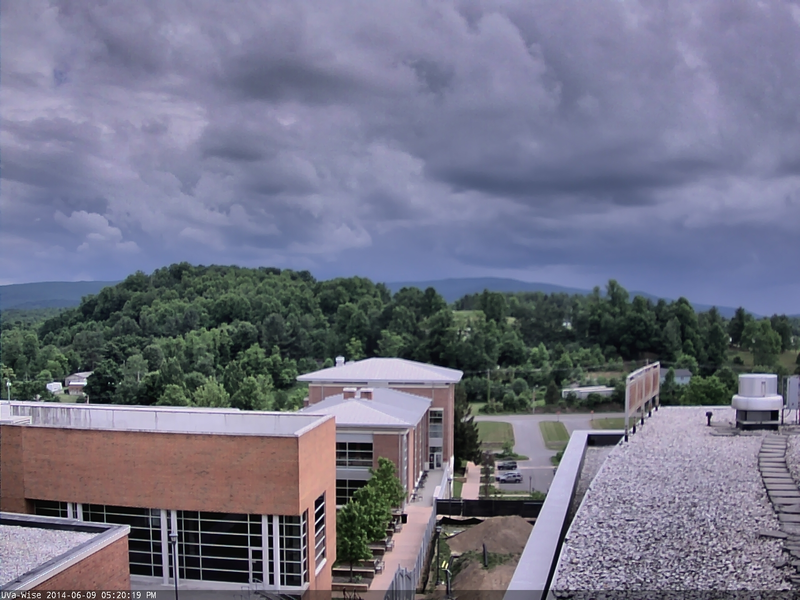 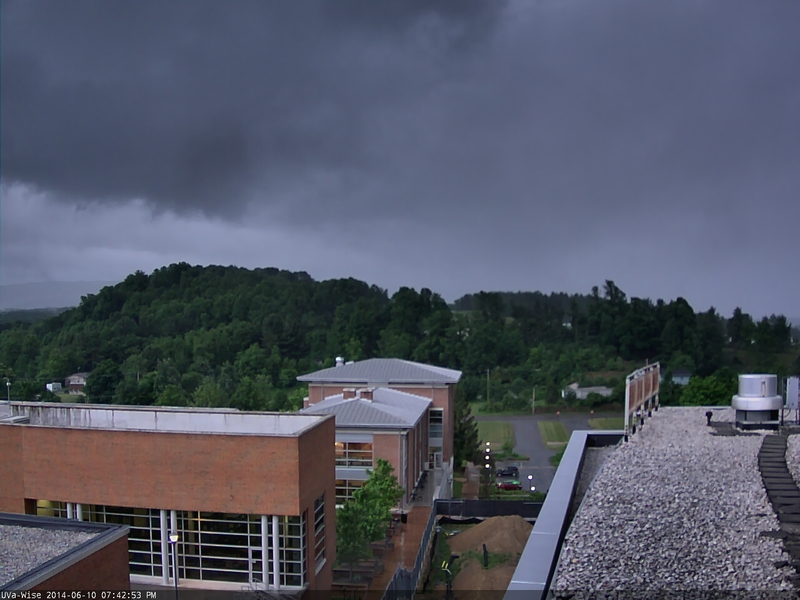 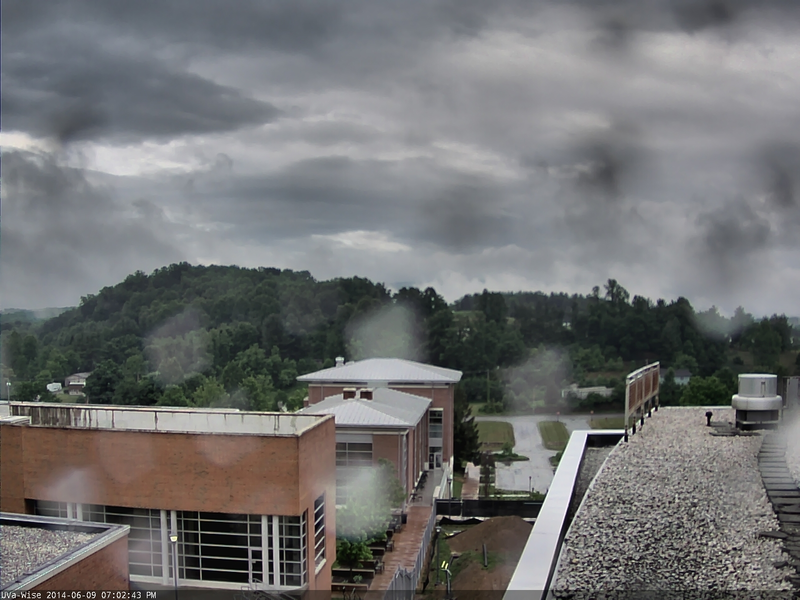 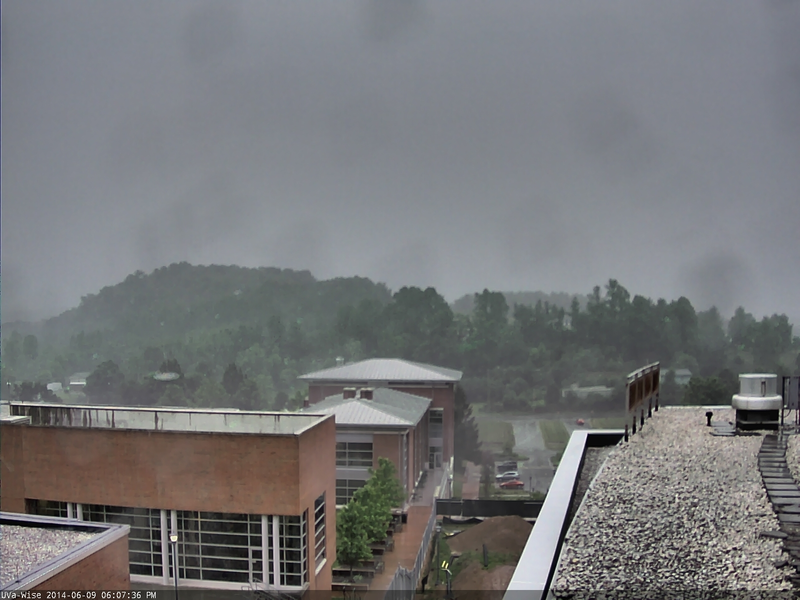 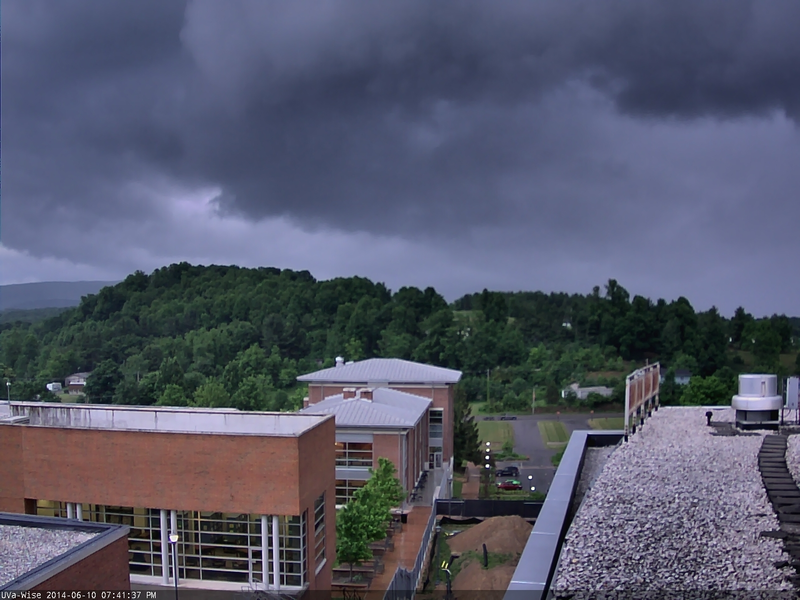 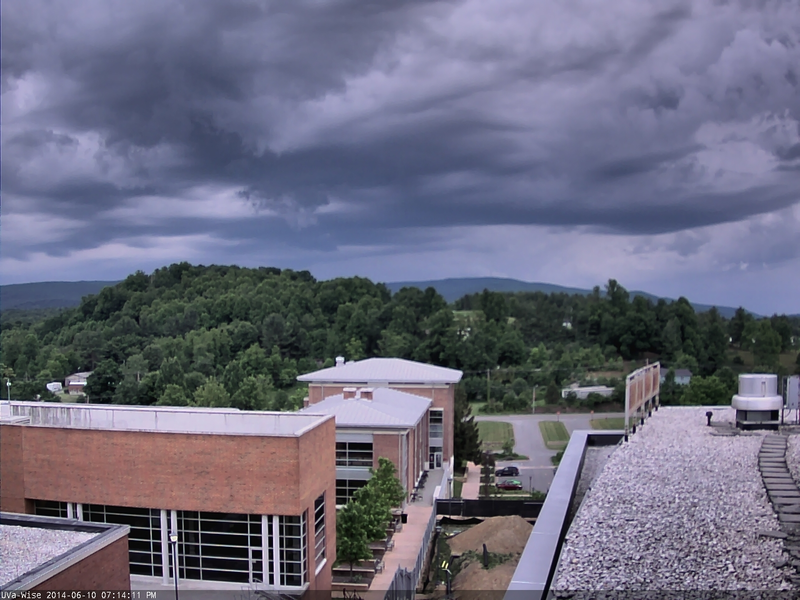 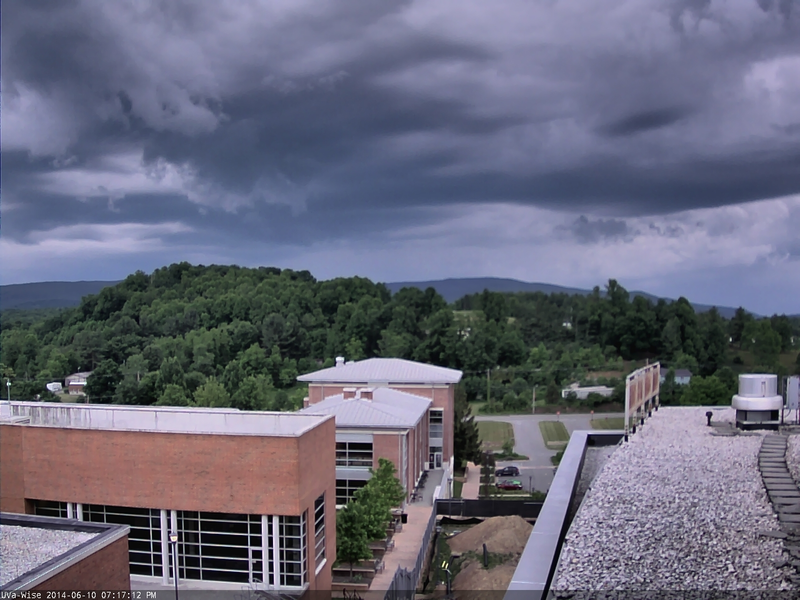 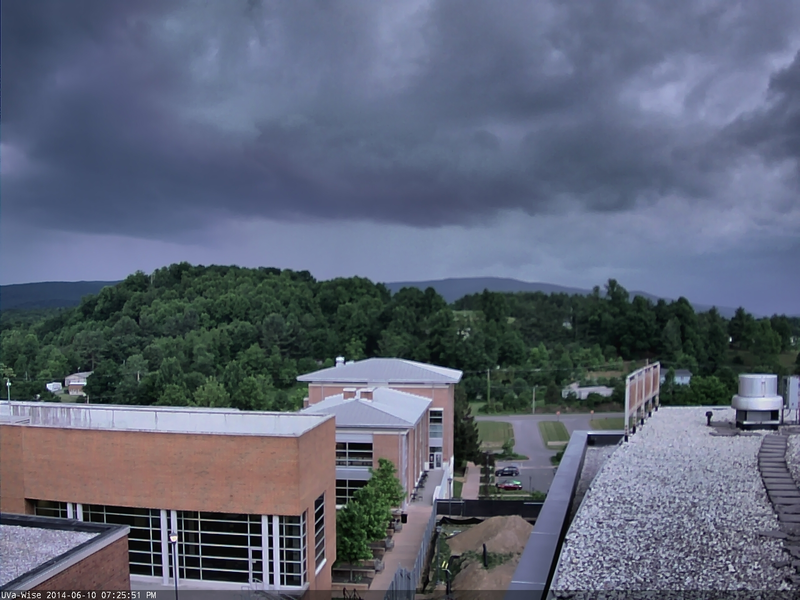 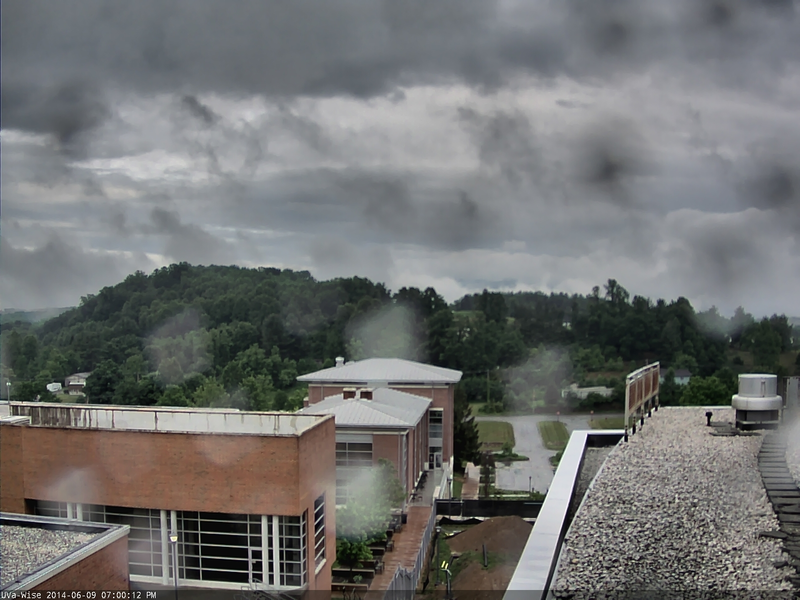 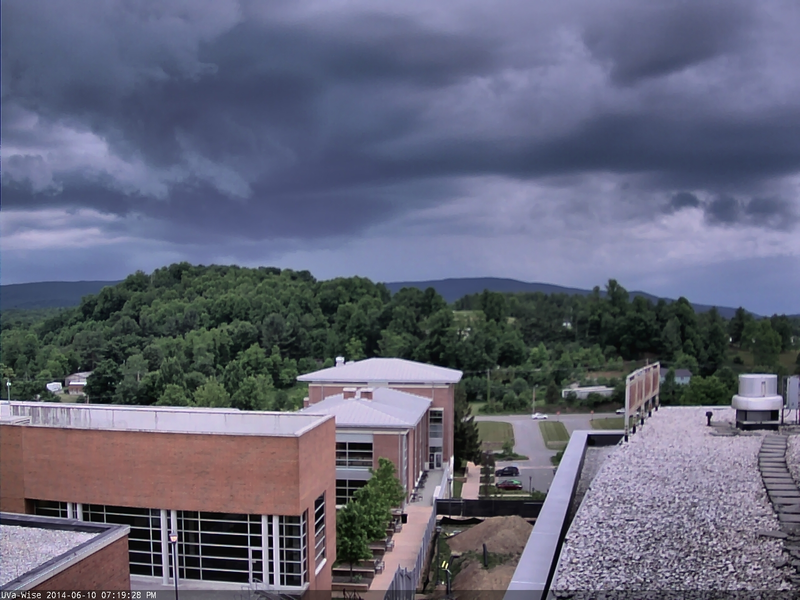 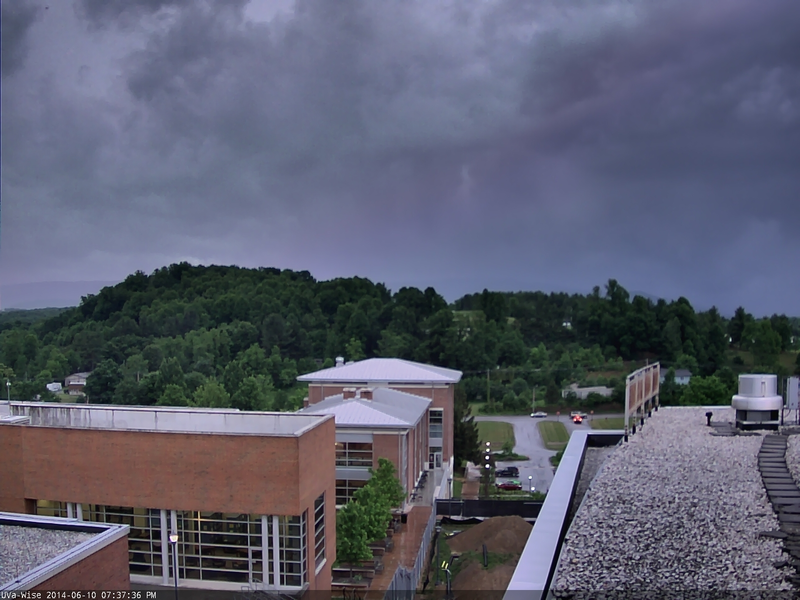 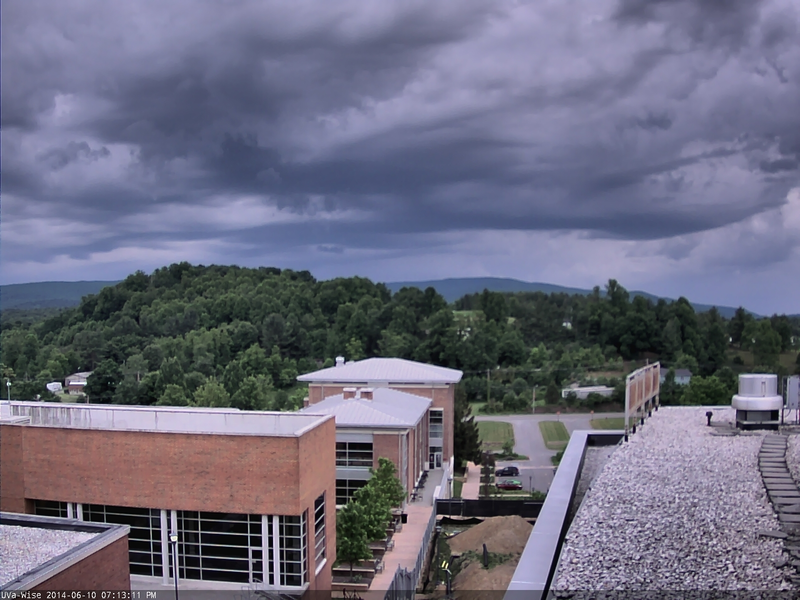 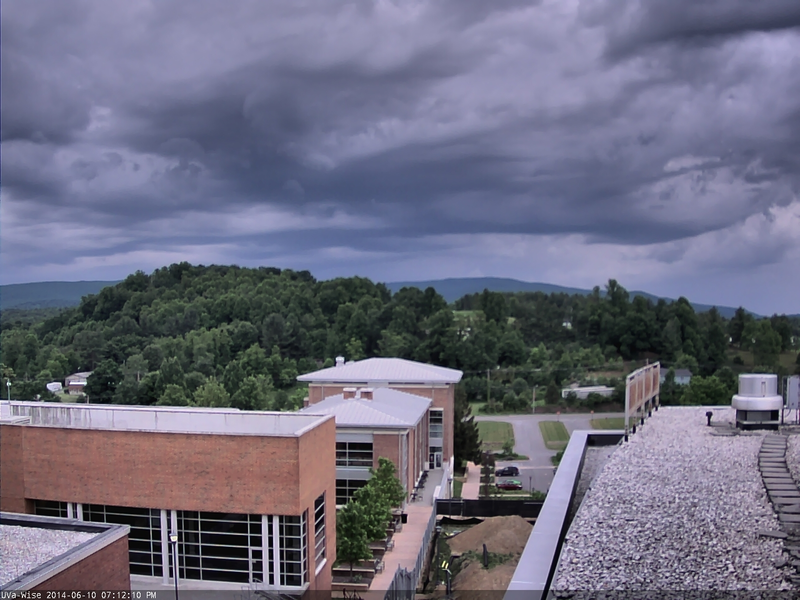 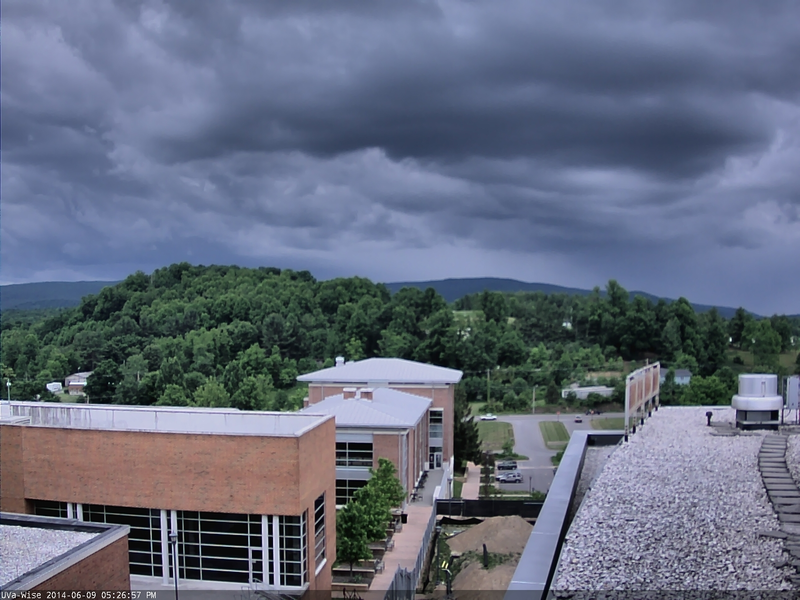 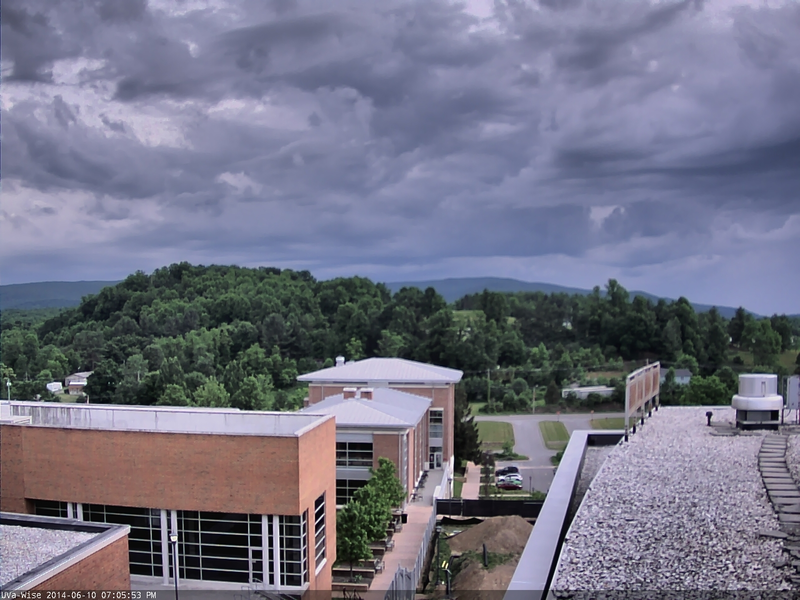 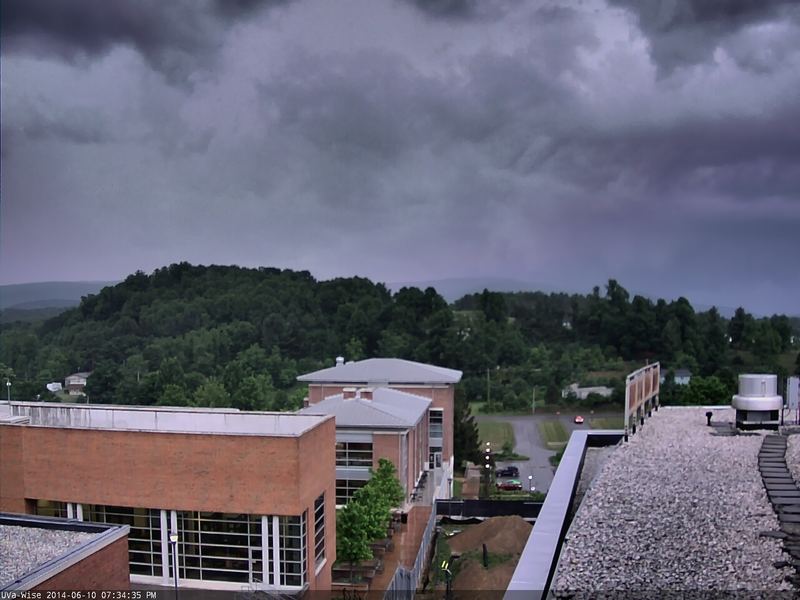 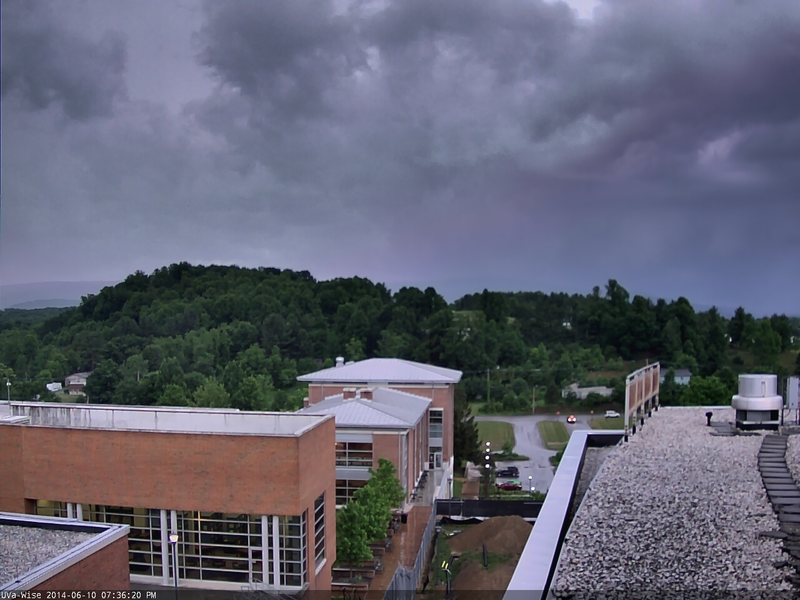 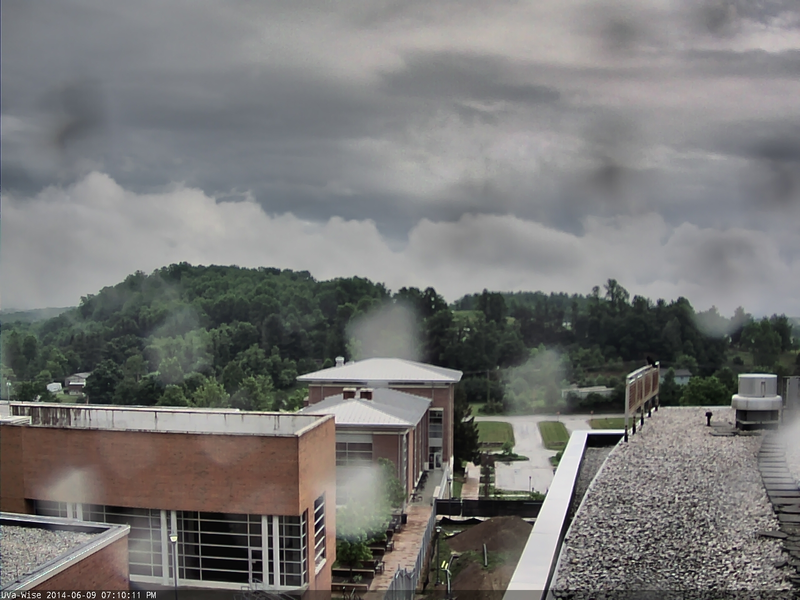 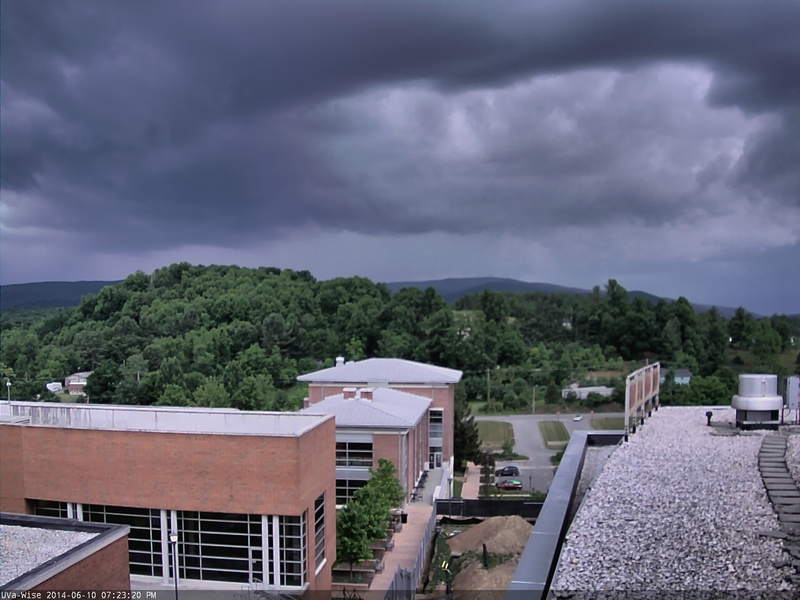 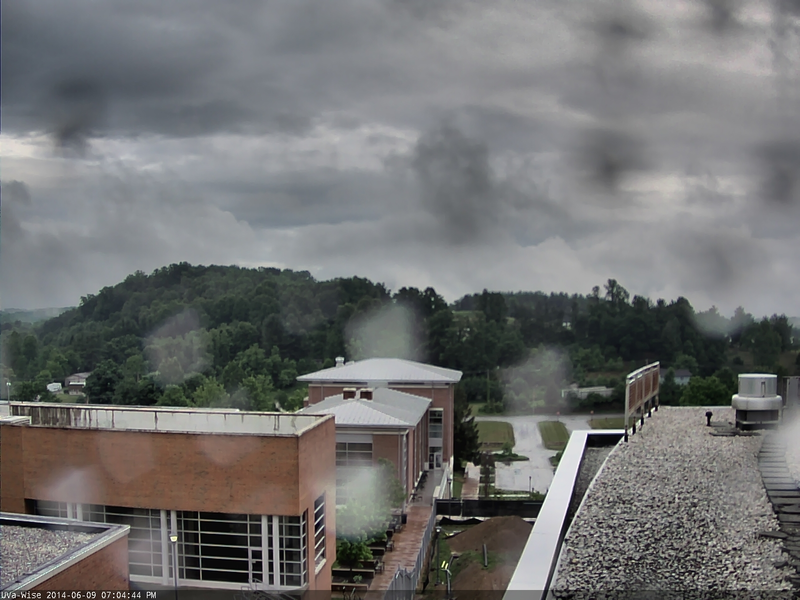 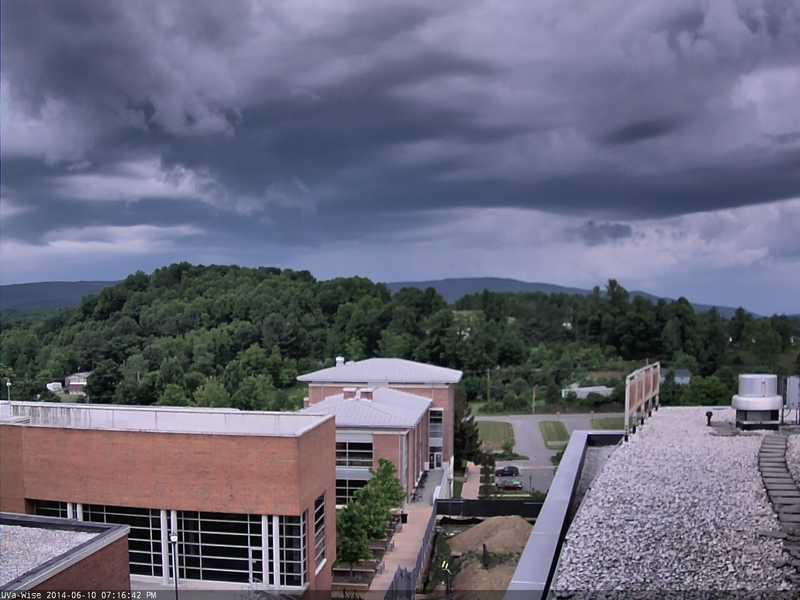 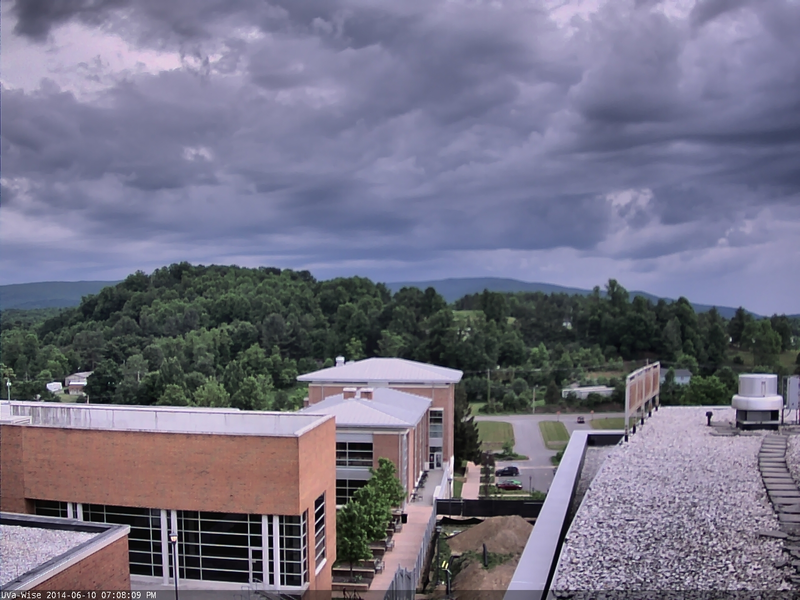 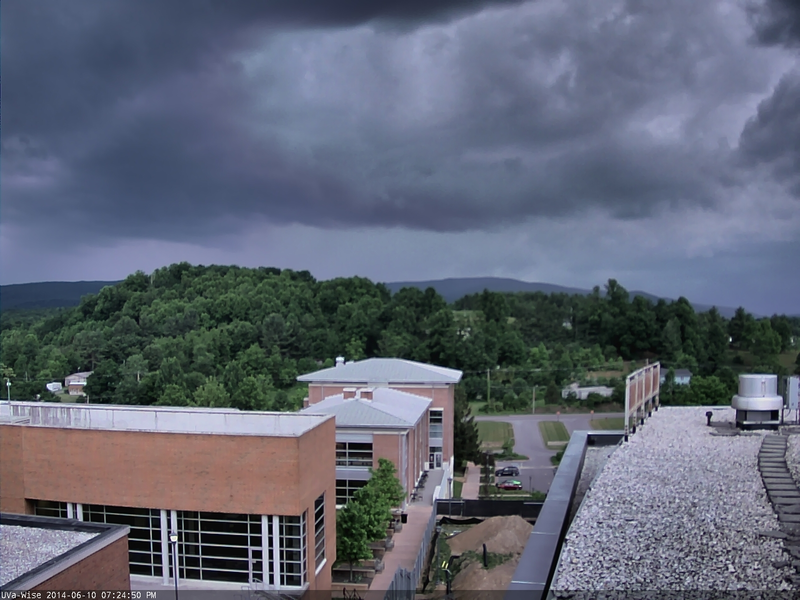 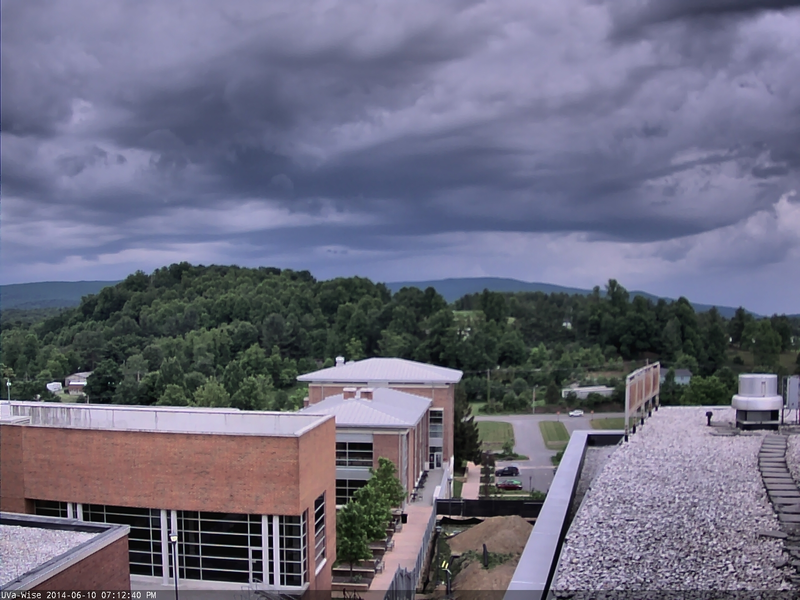 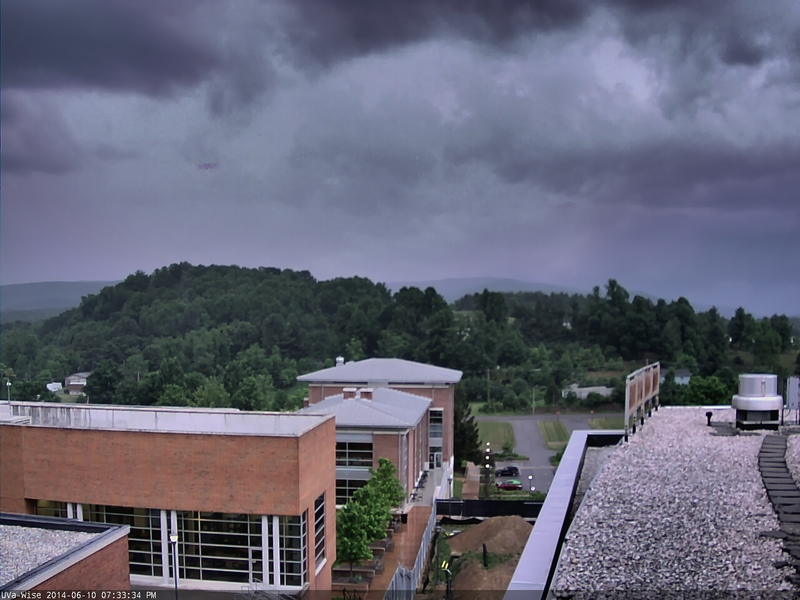 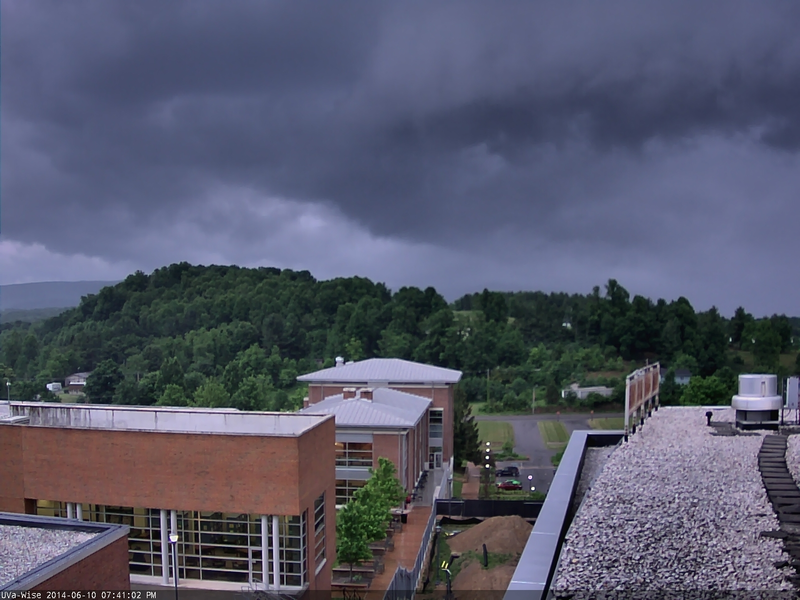 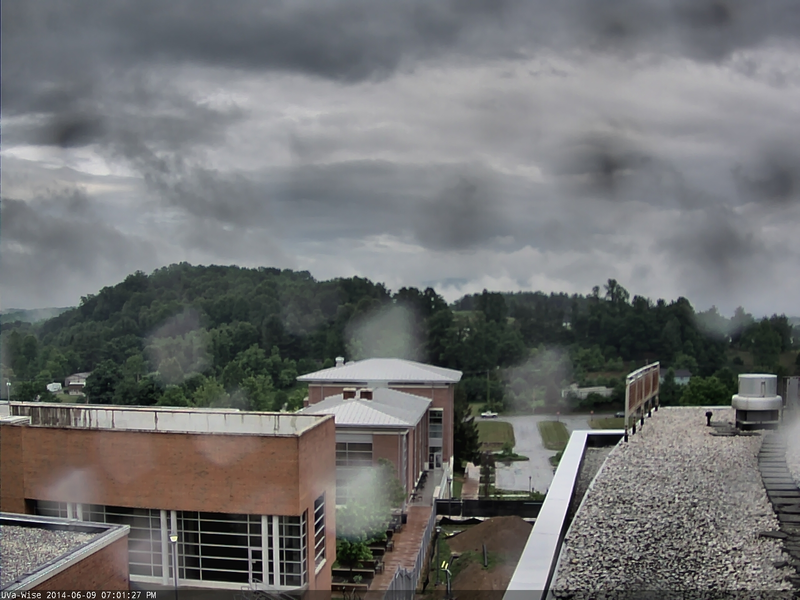 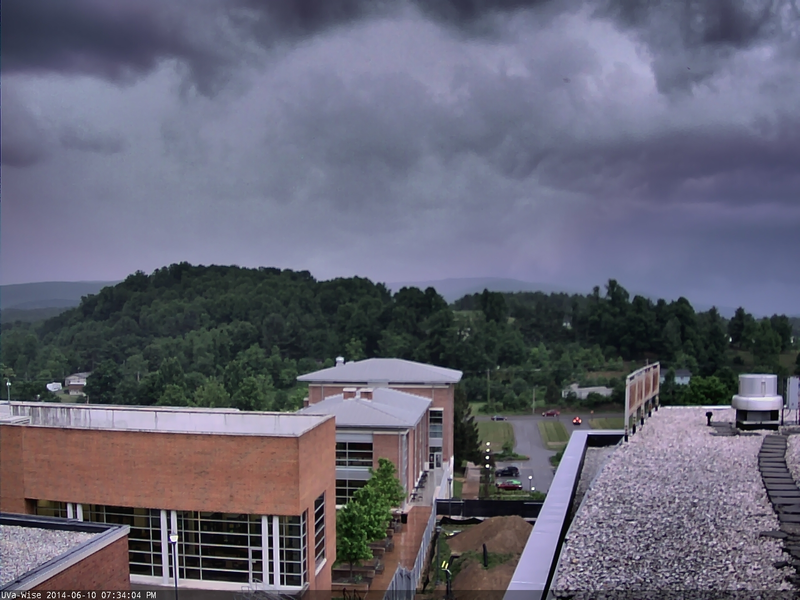 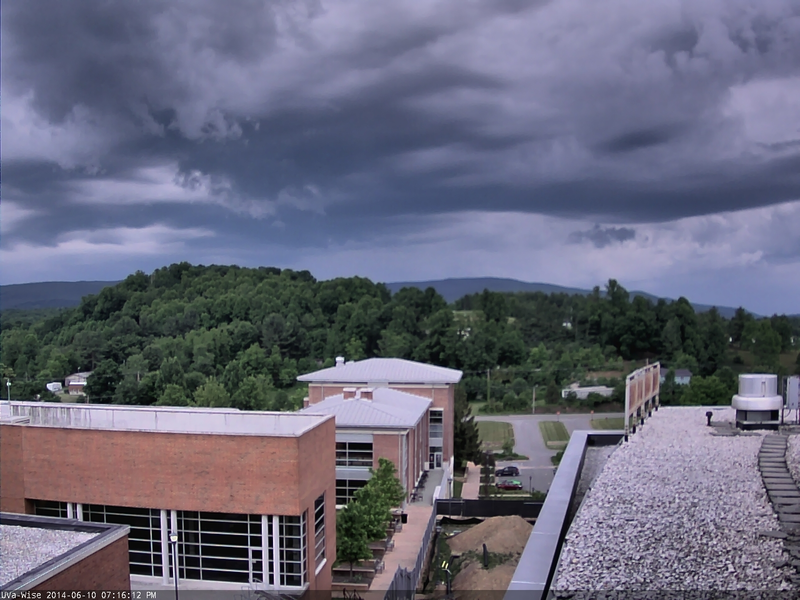 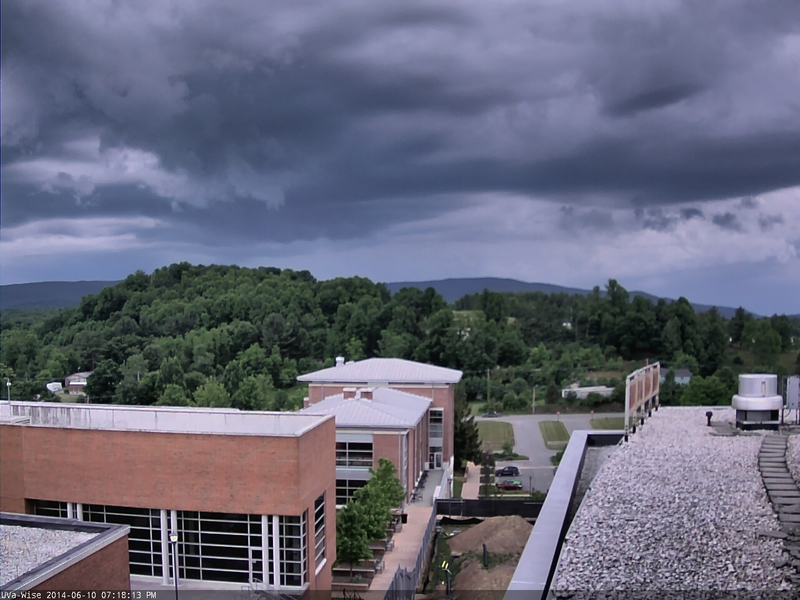 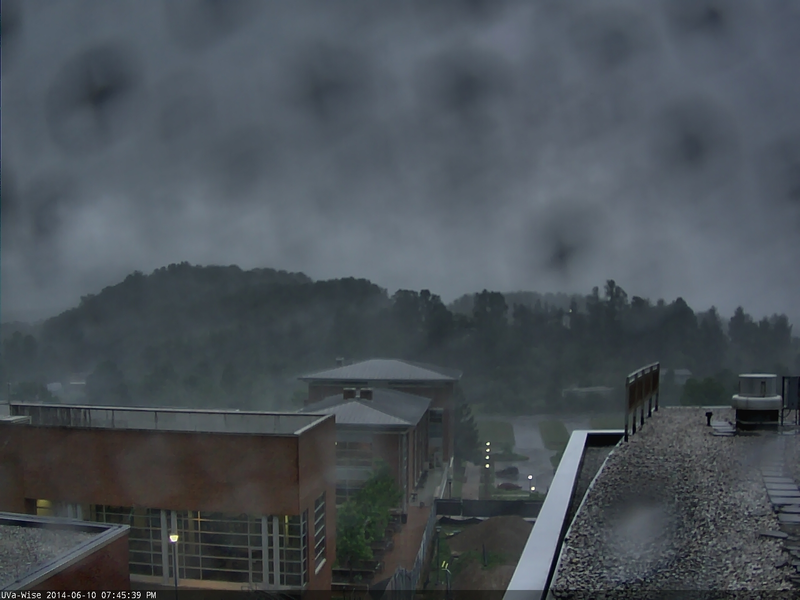 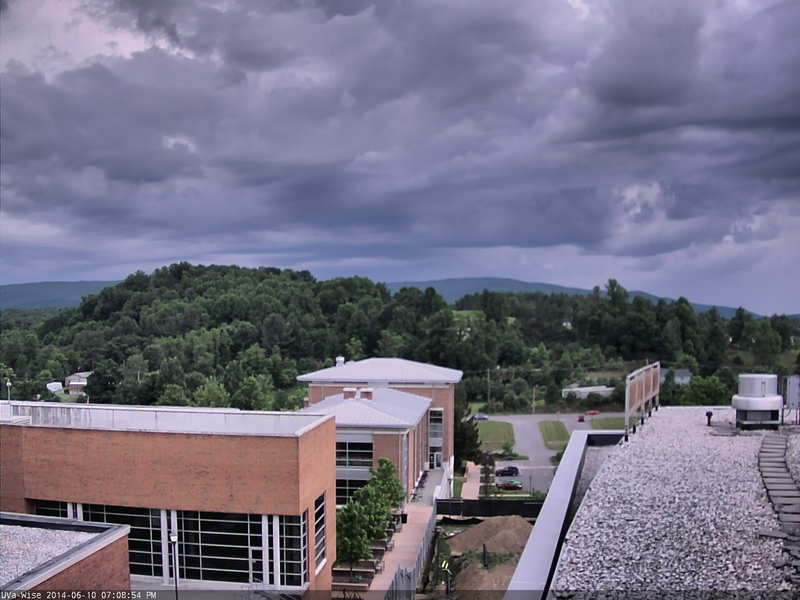 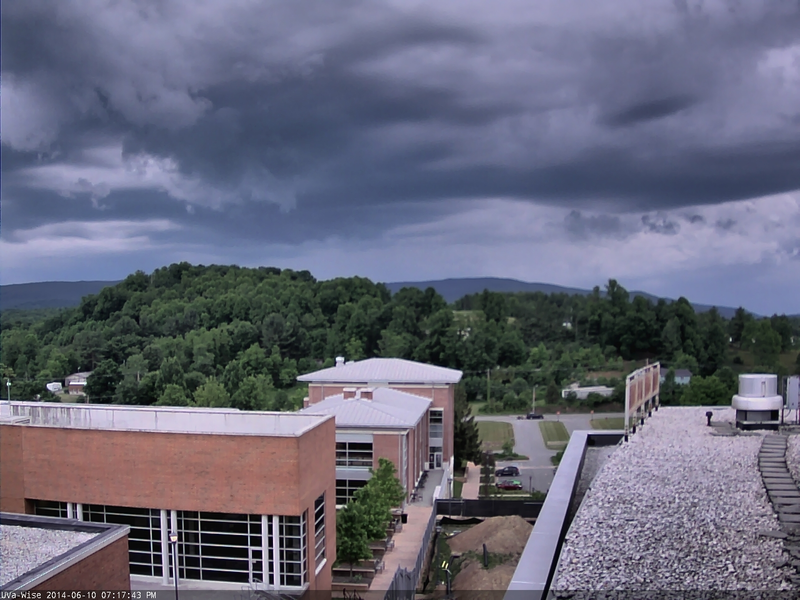 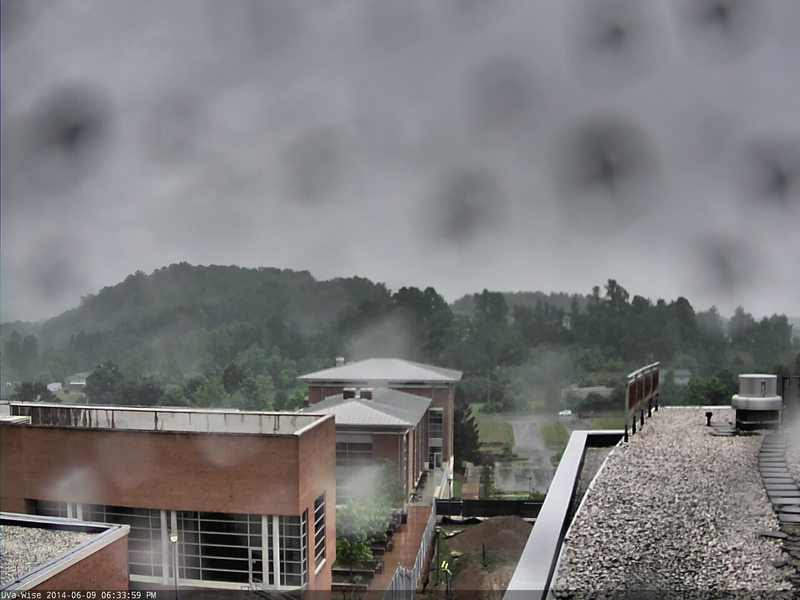 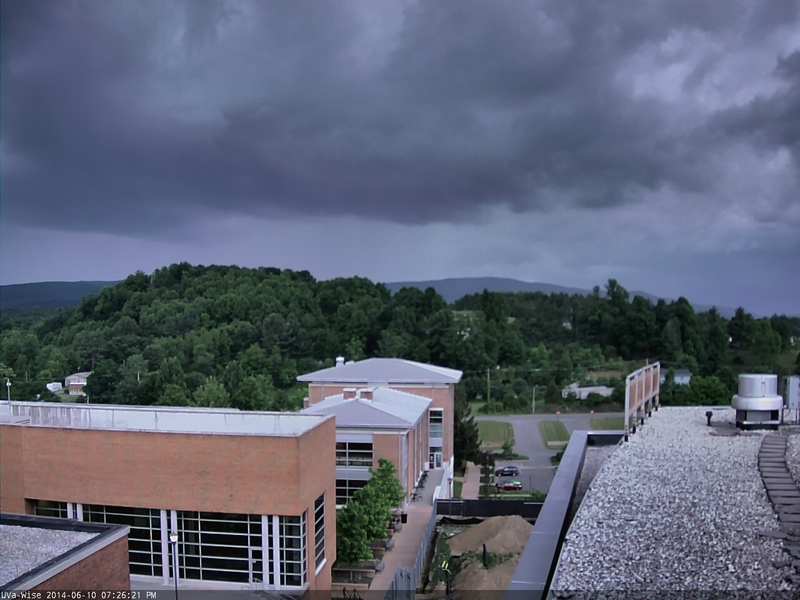 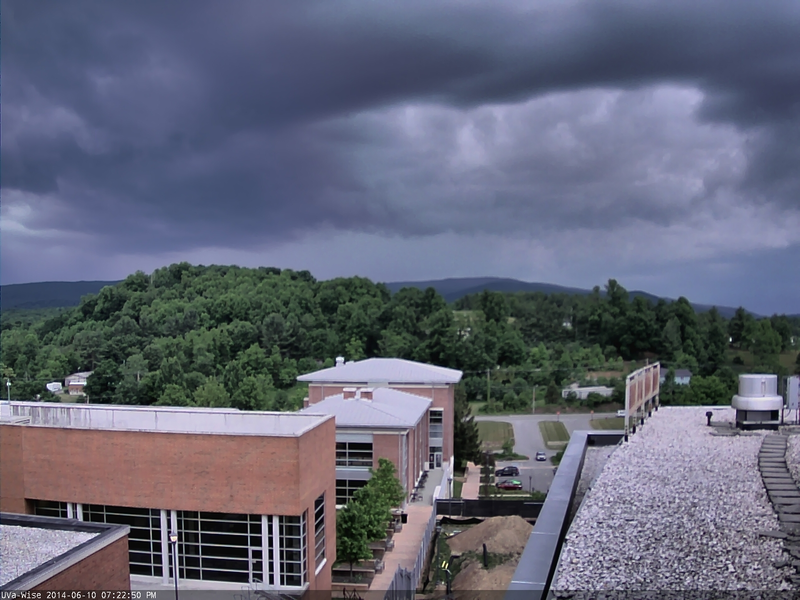 the High Knob Massif and Black Mountain, just brushing the High Knob Massif Webcam location at UVA-Wise around 7:40 to 7:50 PM. 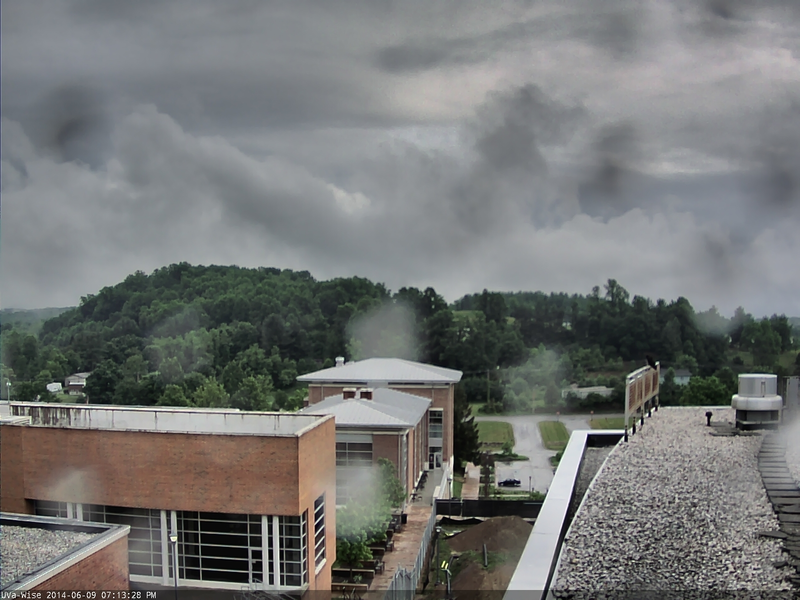 air streamed around the High Knob Massif.